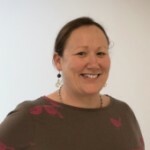 Rachel Taylor is Senior Research Fellow on the Cancer Clinical Trials Unit and newly appointed Director of the CNMR at University College London Hospitals (UCLH). Rachel’s background is in paediatric nursing and she has been working in research since 1995. She completed her PhD in 2008 on a study of adolescent quality of life, which has become a particular interest. Rachel joined the TYA cancer world after completing her PhD to help develop the protocol for BRIGHTLIGHT, which was successfully awarded an NIHR Programme Grant for Applied Research in 2011. As well as managing BRIGHTLIGHT, Rachel is involved in a variety of other TYA projects focusing on improving young people’s outcomes and experiences of care. Outside of work Rachel is a keen gardener and is to be avoided during the courgette season!